What is mead wine, or, to be more accurate “what is mead”? It’s wine made of honey. Or hydromel. Or.. there are at least 30 other names. 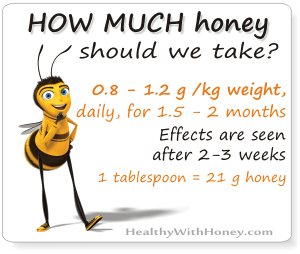 Yes, honey seems to be good for everything, even getting you a little drunk. The word ‘mead’ comes from the Old English “meodu”, meaning an alcoholic beverage created by fermenting honey with water, and various fruits, spices, grains or hops. (Hops act as a preservative and produce a bitter, beer-like flavor.) Starting from here, people have developed lots of recipes, with many flavors and aromas. Is it alcoholic? Yes. The alcoholic content of mead may range from about 8% ABV to more than 20%. Is it sparkling? It may be still, carbonated, or naturally sparkling. Is it sweet? It may be dry, semi-sweet, or sweet. Can it be made at home? Yes. The recipes are not complicated, BUT you need a lot of patience. It takes time to ferment. The best mead is obtained after 2 years. But if you are very exigent, then making a GOOD mead means perfect combination, dedication and professionalism. The good news is that we can buy it easily from a lot of shops. 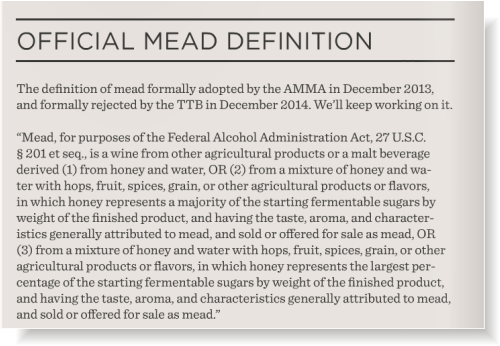 AMMA: American Mead Makers Association; TTB: Tax and Trade Bureau. 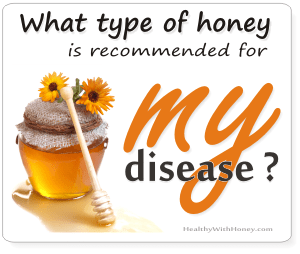 Is there a difference between ‘mead’ and ‘honey wine’? We usually understand the same thing, even if we say ‘mead’ or ‘honey wine”. But in some cultures, due to its old roots, honey-wine is different from mead. For Hungarians mead is made of honey, water and beer-yeast (barm or yeast formed on malt liquors while fermenting), while honey-wine is watered honey fermented by use of grapes or other fruits. So, it is in fact the same thing, only that mead is made with yeast and honey-wine is made with fruit. Today we cannot make a difference, because all recipes I’ve found usually put both ingredients, yeast and fruit, for a faster fermentation. Mead is known from many sources of ancient history throughout Europe, Africa and Asia. 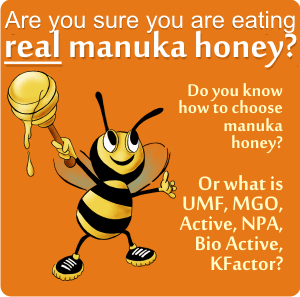 Archaeological chemists consider the presence of beeswax markers and gluconic acid, in the presence of other substances known to ferment, to be reasonably conclusive evidence of the use of honey in ancient fermented beverages. It is considered that it was discovered by accident, with thirsty men drinking rainwater from a beehive, unaware that fermentation will have occurred and that they would become intoxicated. • 6500-7000 BC In Northern China there have been discovered pottery vessels containing chemical signatures of a mixture of honey, rice and other fruits along with organic compounds of fermentation. But mead was not only in European and African cultures, Mayans had mead as well, though the recipe included other substances with hallucinogenic qualities. • 2800 – 1800 BC In Europe, residual samples were found in the characteristic ceramics of the Bell Beaker Culture. • 1700–1100 BC Rigveda, one of the sacred books of the historical Vedic religion and Hinduism, contains hymns describing mead. • 500 to 300 BC During the Golden Age of Ancient Greece, mead was the preferred drink. Aristotle (384–322 BC) described mead in his Meteorologica, while Pliny the Elder (AD 23–79) called mead militites in his Naturalis Historia. He differentiated wine sweetened with honey or “honey-wine” from mead. In ancient Greece, mead was called Ambrosia or Nectar and was said to be the drink of the gods, descended from heaven as dew before being gathered by bees. Take rainwater kept for several years, and mix a sextarius of this water with a [Roman] pound of honey. For a weaker mead, mix a sextarius of water with nineounces of honey. The whole is exposed to the sun for 40 days, and then left on a shelf near the fire. If you have no rain water, then boil spring water. In both Insular Celtic and Germanic cultures mead was the primary heroic drink in poetry. The poem Y Gododdin, attributed to the poet Aneirin, tells about mead as part of all legendary drinking, feasting and boasting of warriors. Archaeological research have revealed that Scandinavians were beekeepers and thus they were making mead. After winning a battle they drank mead from the skulls of those who have conquered. Polish people and Northern Germans were also beekeepers and also producers of mead. A special building where people gathered to drink mead, eat and party. The mead hall was generally the great hall of the king. In the Old English epic poem Beowulf, the Danish warriors drank mead. Those days, their feasting halls were called mead halls. The story of Beowulf includes a Mead-Hall called Heorot that was so big and had so much attendant laughter that the monster Grendel broke in and slaughtered the noisemakers. The idea is met in today’s movies, recording those times. For example, a mead hall is the central location of Beorn’s home grounds where he serves mead and food to Bilbo Baggins, the Dwarves and Gandalf in The Hobbit. Mead was the alcoholic beverage of choice for many in the Harry Potter series and almost killed Ron Weasley, when he drank a glass of oak-matured mead, which had been poisoned. 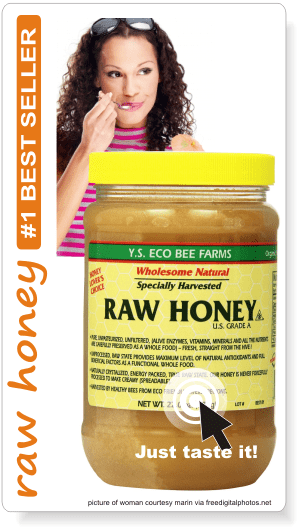 • in 1200 to around 1600 AD, in England, honey wine was the national drink. Why was wine preferred to mead? 1. 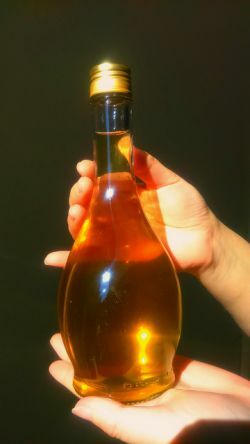 Some people say that commercial mead became a more obscure beverage, due to taxation and regulations governing the ingredients of alcoholic beverages. Yet, monasteries (!) kept up the old traditions of mead-making as a by-product of beekeeping, especially in areas where grapes could not be grown, and thus the old common wine could not be made. A well-known example being at Lindisfarne, where mead continues to be made to this day, albeit not in the monastery itself. 2. Most people say that between mead and wine made of grapes, the wine was for the nobles, the mead was for the poor. In those early days, it was hard to find some good grapes to make a good wine. It was expensive. Honey wasn’t that hard to get, and making mead was easy. Mead was for the commoners. 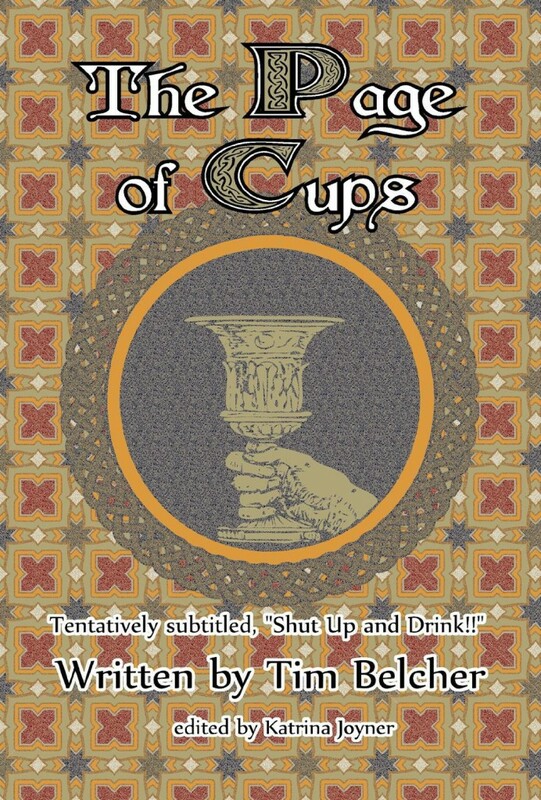 But in time, choosing wine over mead was a sign of nose-in-the-air, a sign of I’m-not-poor! Everybody wanted that. 3. Another theory says that reformation movement with the New Church of England got involved, but not by prohibiting drinking mead, but by not demanding the wax candles as much as it used to. No more demand for wax, no more large quantities of combs requested, and thus small amounts of honey and even smaller amounts of mead. The cost of making mead rose up and thus mead was not for the commoners any more. Not to mention that sugar replaced honey entirely in the food industry, and the production of honey went down. Luckily these days we are rediscovering healthy food, and with it how to grow and prepare our own food and drink. Has honeymoon something to do with mead? Is mead good for our health? Mead has mystical, magical and healing reputation. What did you expect, it’s made of honey! People noticed that if they were sick, after drinking mead they will get better faster. Or got drunk and forgot all about any sickness. Either way, they seemed to be healthier. ” Hidromel is recommended, too, as very good for a cough, taken warm it promos vomiting. With the addition of oil it counteracts the poison of white lead, of henbane, also, and of halicacabum, as already stated, if taken in milk, asses’ milk in particular. It is used as an injection for diseases of the ears and in cases of fistula of the generative organs. With crumb of bread it is applied as a poultice to the uterus, as also to tumours suddenly formed, sprains, and all affections which require soothing applications…. 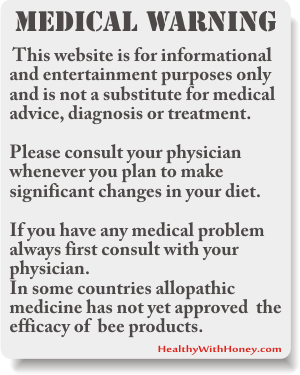 As for the actual benefits of mead over our health, this is going to be the subject of another article. Clover honey How to make mead at home!